What if there is beauty underneath our masks? What if there is healing beyond our brokenness? 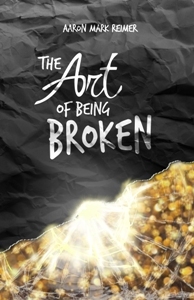 What if God’s best art is made from our broken pieces? Worshipping Through John is a 52 session devotional designed to walk praise teams, together or as individuals, through the full Gospel of John. Each session includes a reading, focus verse, devotion related to issues faced in contemporary worship, and two discussion questions to delve into. In the course of this journey, teams will grow together as they pursue God’s will for worship in their local congregation, exploring issues of head and heart, team dynamics, practice, environment, performance, individual and corporate worship, personal faith, and more! If you are looking to develop a deeper and more vibrant worship ministry, whatever your context, Worshipping Through John is a fantastic tool to help.